This Irish genealogy A-Z will come in handy no matter what stage your research has reached. 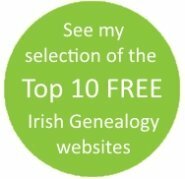 In some cases, the details on this page simply redirect you to the relevant section of Irish Genealogy Toolkit. Others provide a brief summary of the resources available and gives you a link(s) to more detailed information, either in this section of the website or on external sites. You can either scroll through the A-Z topics or jump to the A-Z contents menu here. The majority of the most important Irish records collections are held in archives or similar repositories in Dublin and/or Belfast. However, local archives can be equally important to your Irish genealogy search, particularly as you delve deeper into the lives of your ancestors. Most of the 32 counties of Ireland has a county archive. And many of the county towns also has a city archive (often, but not always, they are found in the same building). These can be found by typing 'Archive' and the name of the county into the search box of your browser. Be aware that some archives are managed by very small teams so they may be open for only a few hours a week. Many of them will accommodate pre-arranged visits outside of the standard hours, however. Be clear about what you want to achieve. Archive offices are not the right places for rooting around in the hope of finding 'something'. Be specific. And make sure the archive you're going to visit holds those records. If this is to be the first step of your Irish genealogy search, see the Getting Started pages before making arrangements to visit. The four most vital pieces of information you need for your family tree search in Ireland are: surname, religion, townland where they lived and approximate dates for when they lived there. Bear in mind that most of Ireland's genealogy records are organised by townland name. Without this piece of information, it will be difficult to find your family in any archives (unless they have an unusual name). Have a good look at the Learn About Archives website where there's some great information and advice, and a comprehensive list of Ireland's archives. Ireland's birth records and birth certificates (civil registration). See also Church Records below. Unfortunately, the censuses taken in the 19th century were almost completely destroyed; only a small number of 1821–1851 Irish census fragments survive. 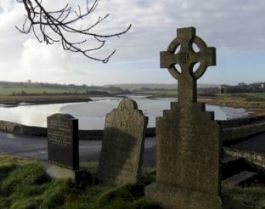 This great tragedy is the reason many people find their Irish genealogy search difficult. However, the 1901 and 1911 censuses survive, complete. Full details in the Irish census section of Irish Genealogy Toolkit. 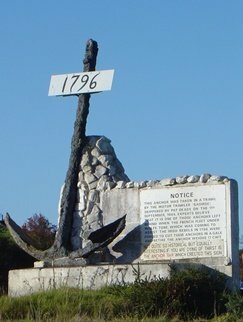 A number of specific population surveys were carried out in the 18th and 19th centuries, often across a more localised geographical area or distinguishable group of people. Many of these also survive. These collections are known as Ireland's census substitutes. Church records include records of baptisms/christenings, marriages, and burials. These records were created in Parish Registers and constantly updated as births, weddings and deaths occurred. 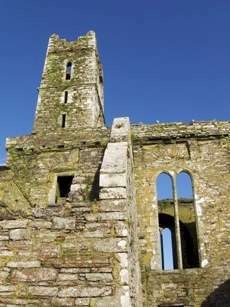 For Irish genealogy research, church registers can be a wonderfully rich source of information but, as family historians soon discover, there are many problems to overcome. The most obvious is that a huge number of records do not survive. An 1876 law demanded that all Church of Ireland parish registers be sent to the Public Record Office in Dublin for safekeeping. This law was amended in 1878 to allow parishes with good storage facilities to retain their records, so not all parish records were sent to Dublin, and others were copied before being sent. This was just as well, because those enjoying 'safekeeping' in Dublin were destroyed in a fire in 1922. Most of those that had not been sent to Dublin survive, although not all under one roof. They are rather scattered, so tracking down a particular register, or a copy of it, can, sometimes, be troublesome. Roman Catholic registers also survive (with a small number of exceptions), but they don't generally date back much beyond the 1820s. Some don't even start until the second half of the 19th century. Older registers, especially those from more rural parishes, were often in Latin. See the Church Records section of this site for details of Presbyterian, Roman Catholic, Methodist, Protestant and Quaker records. Using the Irish civil registration indexes - a brief history of the indexes and registers; how they are compiled; arrangements of indexes; how to create the GRO Index reference. Search the Irish civil registration indexes - Indepth descriptions of online and offline resources providing access to the indexes. Maps of Ireland's civil registration districts - (Superintendent Registrars' Districts) and lists of the names of the districts, by county. Northern Ireland civil registration records - The General Register Office of Northern Ireland has an efficient online facility for searching historical events that occurred in the six counties. Alphabetical list and introduction to the 32 historical counties of Ireland. Court records can be extremely useful for Irish genealogy research, often revealing surprising or colourful anecdotal information. They may also, on occasion, provide rich genealogical information – names of parents, siblings or children, or clarify where a family was living at a particular moment in time. There are a number of sources of death records: civil death records, which started in 1864, church burial registers (patchy, at best), newspaper death announcements and obituaries, and headstones. A huge number of mainly volunteer-led websites also now exist to hold details of graveyards and inscribed headstones. See also ﻿Church Records﻿ above. The Registry of Deeds in Dublin holds memorials of deeds from 1708.The records are accessible only to personal visitors. A volunteer-led project is gradually creating a free-to-search online index of the records. Visit the Land & property main page for a brief explanation of the value of deeds to genealogical research. A fuller feature about Deeds is being prepared and will be published shortly on Irish Genealogy Toolkit. See the Land & property main page for a selection of pages relating to land records. This selection includes several pages exploring Griffiths Valuation, as well as links to pages about Tithe Applotment Books, the 1876 Landowners list, the Landed Estate Court Rentals collection and Estate records. Irish Land Divisions – Genealogists need to become acquainted with land divisions because not all records were collected in the same way. Maps: Knowing your way around Ireland can be very useful for genealogy research. To help you along the way, get to grips with some basic details about Ireland's geography and familiarise yourself with relevant parts of the island using these regional and county maps. Because they're unindexed, newspapers have only recently become a mainstay of the genealogy scene, thanks to digitisation technology. They can provide rich pickings indeed. They can also be great fun, but you need to keep focused to avoid going off on a tangent as you uncover interesting stories. There are now many online outlets, but some of the best collections are still held offline, usually on microfilm. In the early 20th century, pension applications often required a search to be made of the 1841/1851 censuses to establish the true age of the applicant. The forms completed are known as census search forms or, less precisely, Irish pension records. The parish registers of the Roman Catholic church are held locally but access is often restricted. Fortunately, most of the surviving registers are accessible online in one format or another. Purchasing software can be a bit of a minefield. There are just so many options available, and probably every genealogist you ever speak to will have their own favourite and won't budge from it! So here's some independent advice about the things you need to think about before you invest in a particular family tree software package. 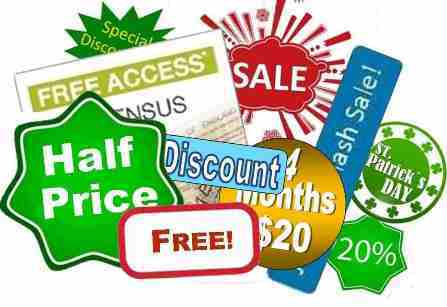 Keeping up to date with them can be difficult, which means that researchers can easily miss some great deals. 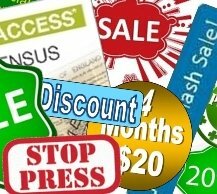 Toolkit has a solution: this page is regularly updated with the current discounts and news of any free access periods on the major databases. 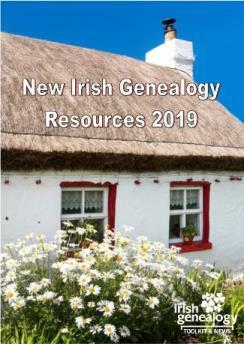 Check out the Irish Genealogy Special Offers page to see what's current. May be a good idea to 'bookmark' or 'favourite' the page, too. In 1796, the Irish Linen Board published its Spinning Wheel Entitlement List (also known as the Flax Growers Bounty or the Irish Flax Growers List), one of several lists created in response to special initiatives by the Government to encourage the production of linen. Find out more about these lists, and where you can view the 1796 version, at the bottom of this page about conditions for our Mill worker ancestors.